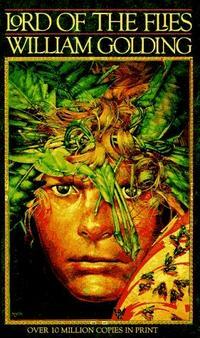 "Lord of the Flies": rejected! The classicist Peter Green, in a loving review* of the biography "William Golding: The Man Who Wrote 'Lord of the Flies,'" by John Carey--Green knew Golding well--describes the story of the publication of Golding's most famous novel as akin to "a fairy tale." Time: the Future. Absurd & uninteresting fantasy about the explosion of an atom bomb on the Colonies. A group of children who land in jungle-country near New Guinea. Rubbish & dull. Pointless. Told, at his club, that 'Faber had published an unpleasant novel about small boys behaving unspeakably on a desert island,' Eliot at once, in some alarm, got hold of a copy, read it, and .... 'told Monteith next day that he had found it not only a splendid novel but morally and theologically impeccable.'" The rest is ninth-grade English-class history. *New Republic subscribers only, but most of this anecdote appears in front of the paywall.